This entry was posted in News and tagged erwiana news on April 9, 2014 by Tom Grundy. The Justice for Eriwana Committee has confirmed that the Indonesian authorities pressured her to switch lawyers and accept a government provided legal counsel. 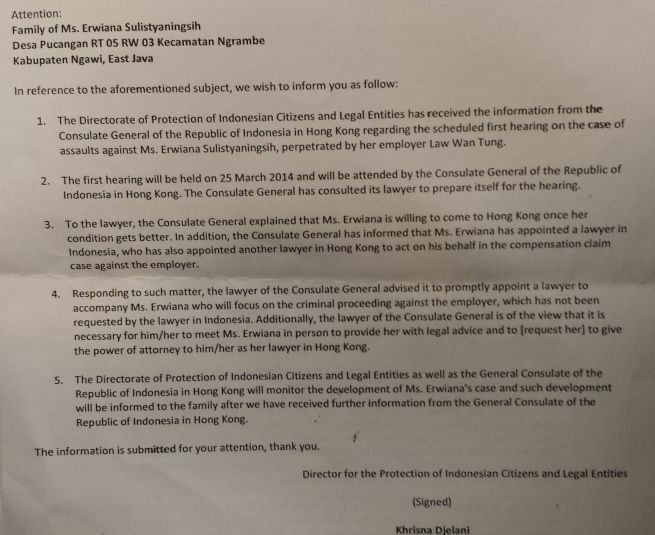 Shortly before her return to Hong Kong for a medical report, Erwiana was asked to revoke the power of attorney given to her current lawyer in Java. 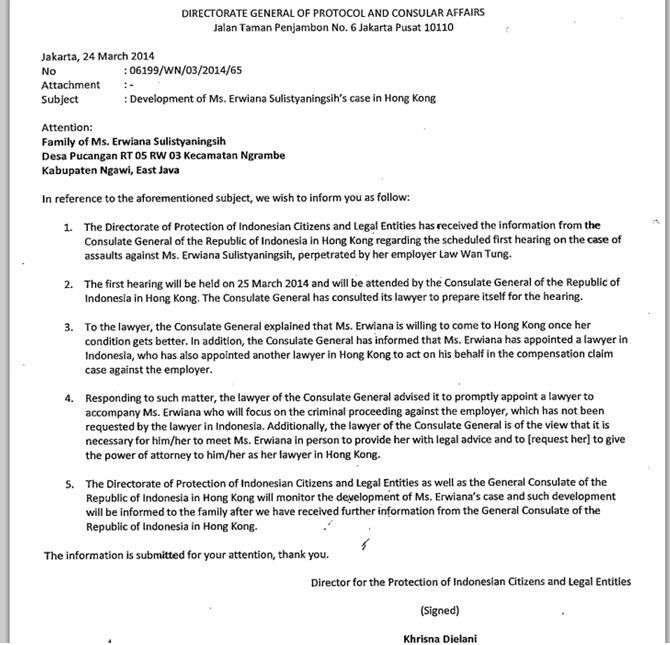 She resisted intimidation and has retained legal provided by the Yogyakarta Legal Aid Institute in Indonesia and Melville Boase in Hong Kong. A letter from the Indonesian authorities translated by NGOs – point 4 refers to switching power of attorney.